One of the best things about working from home is that you can wear whatever you want. You can stay in pyjamas if you like but you tend to be more productive if you get dressed… I also get a lot of post and need to be dressed enough to open the door for the postman to deliver my parcels. I work from home and look after my daughter full time (24/7) and need to be comfortable for long days working on my computer and playing on the floor. I’ve been looking for a pair of lounge-wear type trousers that look more like real trousers (but are really comfortable!) and have now finally found them. They are by American Apparel and can be bought from BuyThshirtsOnline. They are available in Black, Grey and Navy and cost £11.04 each and less if you buy in bulk. I like to wear mine with a comfy simple t-shirt, a warm cardigan and my favourite slippers. 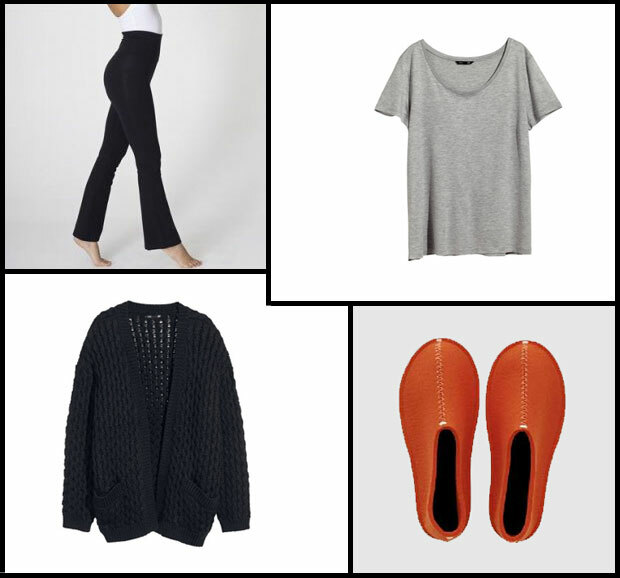 The perfect outfit if you are working from home or are looking after the kids. 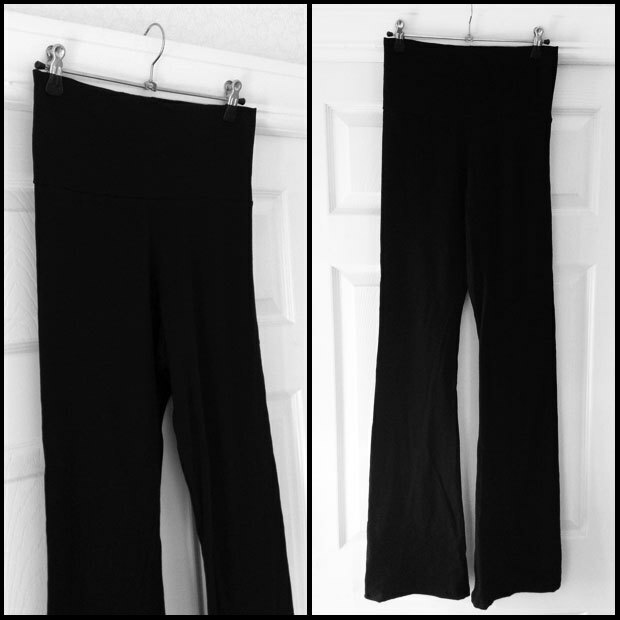 These American Apparel Cotton Spandex Jersey Yoga Pants are my new favourite trousers. They are really soft and comfortable and the fit is great! I’ve got them in a size Medium and they fit me (tall and a size 10) really well. The length is just right. What I love the most about them is the very high and wide waistband — it goes up over my belly button and is so comfortable. This waistband means the trousers are never too tight and does not leave any marks on your skin. Great for holding a hot water bottle too! The waistband makes the trousers perfect for the first half of pregnancy and postpartum too, since it will stretch a bit with your changing belly. They look like actual trousers and not like sweatpants or lounge-wear, which is just what I was looking for, and they look great, too! I was sent a pair of American Apparel yoga pants for this review. As always, my reviews are 100% honest and all thoughts and opinions are my own.